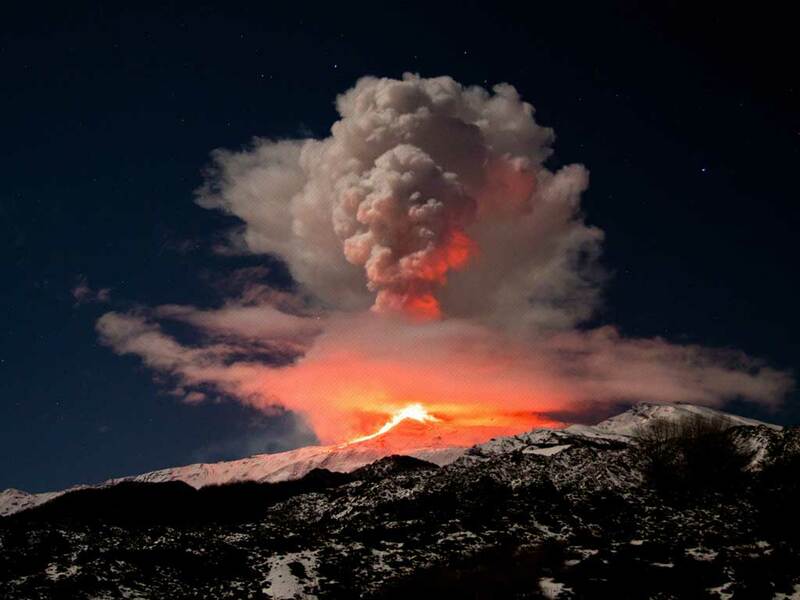 We expected a new paroxism yesterday or today and… it’s never too late, Etna is preparing to something big; stay tuned on webcams this night! 19/08 No more just a Pit! Pit crater woke up again; as forecasted. UPDATE: yesterday evening I went sleeping early. Andreas Brenneke was awoke. He sent us first image of this new event, a night shoot showing a bit of strombolian activity. Thanks to Adlam-Stiles for first image of the great new ash mushroom in this moment flies above us.